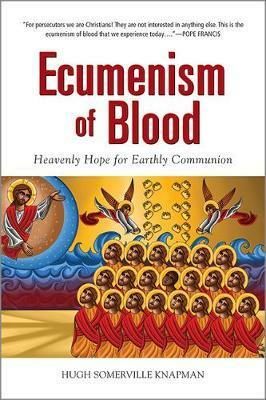 Ecumenism of Blood demonstrates that it is possible within the status quo of Catholic doctrine for the Catholic Church to recognise in some official way, in this case liturgically, the Christian martyrs of the eastern churches. Such a development would have immense implications as an example of realisable, practicable ecumenism, as well as a gesture of solidarity with an ancient and persecuted church. Pope Francis's unsystematic references to ecumenism of blood offers an opening, though many in the blogosphere mentioned the ancient denial of the martyr's crown to heretics and schismatics. However, if blood could baptise non-Christians who died in odio Christi, why could it not absolve non-Catholic Christians from schism? Thus, it seemed possible for there to be a reconciliation of blood that could be derived by analogy from baptism of blood. Searching the tradition, it is possible to see this development prepared for, especially from Benedict XIV and reaching a climax with John Paul II's Ut unum sint, the teaching of which is conclusive. Considering ecumenical sensitivity and to avoid the appearance of ecclesial imperialism, Ecumenism of Blood proposes the mechanism of equivalent canonisation as a means of realising what is shown as doctrinally possible. Hugh Somerville-Knapman, OSB, holds an STB from the Lateran University. He is currently based at Douai Abbey, in the UK, occasionally supplying in parishes and assisting with chaplaincy work at Winchester College.